A mixture of metal, folk, blues and pure rock & roll, together with a fiery guitar attack and a set of superlungs that Mojo recently called'one of the greatest voices in British rock'"...one could easily be referring to the mighty Led Zeppelin, but that description is reserved for just one man, Terry Reid, an artist whose immense vocal and songwriting talents led him to be Jimmy Page's first choice as lead singer in Led Zeppelin. Forced to turn down Page's offer due to a contractual impasse, Reid quietly became the unsung architect of Led Zeppelin by leading Page to both Robert Plant and John Bonham. 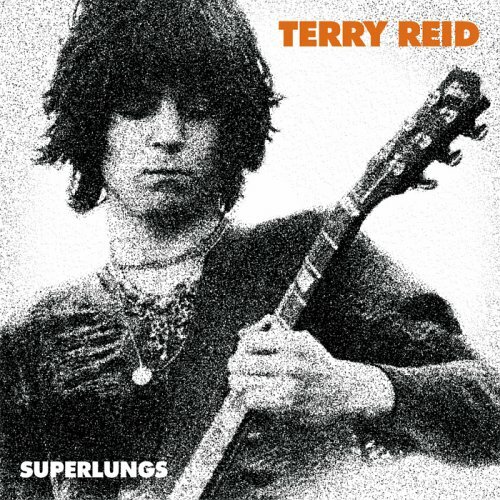 Now Superlungs presents 17 tracks that showcase the power of Terry Reids vocal performance (comparable to the vocals Robert Plant would record for Led Zeppelin several months later) as well as his bristling guitar work, all the more jaw-dropping for having been neglected all these years. Astralwerks. 2005.